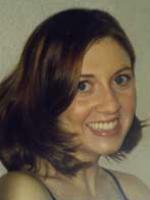 Center for Media and Democracy's Office and Outreach Manager, Sari Williams joined the Center in January 2006. She has bachelor's degrees in English, Graphic Design and Elementary Education from the University of Wisconsin-Madison. Sari handles the day-to-day running of the office. Sari Williams is CMD's Office and Outreach Manager and also handles graphic design.